We asked several media experts to weigh in on some of the ethical dilemmas facing journalists as they report on the Trump administration. From dealing with dishonest sources to using the term “lie” to describe falsehoods, our experts say the challenges the press faces today should be met with a renewed commitment to the core tenets of journalism. Some members of President Trump’s administration have been accused of dishonesty when dealing with the press. Should media outlets continue booking guests they believe have been dishonest? And what, if any, journalistic practices should change when interviewing such guests? Margaret Sullivan, Washington Post: We may not have the luxury of excluding these officials, since they are in positions of authority and power. However, we can bring particular awareness and preparation to our knowledge that they haven’t been truthful in the past, and be ready to challenge them, especially in the moment. Keith Woods, NPR: I think our job is to report on facts and inaccuracies. So talking to the official spokespeople for the White House is critical. Our job, when there is reckless disregard for facts, is to ramp up our truth-telling, fact-checking efforts and continue to show the public the actions of those elected and appointed to represent them. Our sin isn’t in talking to people who continuously get things wrong; it’s when we fail to report their falsehoods. Dave Zweifel, Wisconsin State Journal: I think it all depends on who the interviewee is, what position he or she holds. Frankly, I think that the interview shows should stop inviting a Kellyanne Conway, for example, who has become known as a notorious liar, famous for her admiration for “alternative facts.” Besides, it’s become apparent that she doesn’t really know what she’s talking about and is frequently contradicted by her own boss, the president. There are others, though, who are key people in the president’s administration that should be heard, lies and all. What practices need to change, though, is that interviewers need to point out obvious falsehoods or have other guests on the show that can do that … to let obvious false statements stand is a disservice to the reader/viewer. If a guest refuses to appear again, that fact should be pointed out with an explanation why the invitation was refused. Scott Cohn, freelance journalist: Like it or not, any administration gets to choose its spokespeople. A blanket refusal to book an administration official or spokesperson because he or she might possibly give dishonest answers does not further the ultimate goal for journalists (and the public) of getting to the truth. 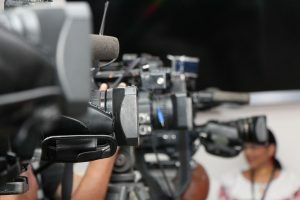 Instead, the journalist must come to every interview fully prepared and armed to the teeth with facts, and not be afraid to question any statements that appear to be false. But it is important to draw a distinction here between official administration spokespeople and “surrogates,” i.e., people who purport to speak for the administration but have no official role. If they have demonstrated dishonesty in the past, there is no reason to continue speaking with them, any more than there is a reason to deal with any other source that has proven not to be credible. I would add that this question speaks to a broader issue that predates the Trump administration. Particularly when it comes to cable news, but by no means limited to that medium, too much of what passes for journalism is in fact simply “talking heads” allowed to speak unchallenged. If the current dynamic in Washington leads to more actual reporting on this administration and future ones, the profession and the country will be better off. Jill Geisler, Loyola Chicago: “Dishonesty” is a word that we need to treat with care. Journalists understand that sources of all types may not tell them complete truths, may provide information out of context, may reframe issues to appear better or worse than objective facts support, and some may intentionally provide false information. Journalists have dealt with these issues long before the Trump administration. They do so by persistent questioning, fact-finding and reporting what they learn. They respectfully challenge and responsibly report. Having said that, we know that respected fact-checkers have found that this president and some of his representatives and supporters have been prolific in providing “alternative facts” – i.e. untruthful or deceptive replies. So, what about your question about booking such people as guests on media outlets? I think there’s a difference between interviewing individuals who are appointed or elected members of the Trump administration, in their official roles, and booking “guests.” For example, CNN used some Trump supporters as surrogates in panels during the election. If those people have consistently dissembled and don’t now hold official positions in the administration, then CNN can reconsider booking them. If they hold official positions, the very nature of their positions keeps journalists from avoiding them. In his time in office so far, Trump has been openly hostile toward the press. What, if any, journalistic practices should change in response to this? Sullivan: We should not rise to the bait of being the enemy or opposition party. We should realize that this is a political strategy that has worked very well for Donald Trump. Our response should be to do our jobs of examining the facts, challenging assertions, digging into documentation, developing sources and holding the administration accountable. We should be neither friend nor enemy, but watchdog and citizens’ representative. Woods: Journalism has been reviled by powerful people since the first presses rolled. Our job doesn’t change because the president dislikes us. But we do have the responsibility–and opportunity–to explain ourselves and prove the power and relevance of strong journalism as the president calls more and more of the public’s attention to the role of the press in America. Zweifel: I don’t think there’s a need to change any journalistic practices. Throughout history, there have always been politicians who’ve been hostile to the press. The best bet is to keep doing the job we’re trained to do, digging for the truth and informing our readers. And, we should also make sure our readers know of the president’s (or any other politician’s) hostility. They can judge who’s right. Cohn: Very little should change. Trump is not the first president to be hostile to the press, even if he has raised that hostility to a new level. He won’t be the last. Journalists must continue to do our jobs, unswayed by the inevitable personal attacks on us and our colleagues. We know how to report, and the fundamentals do not change just because the person or entity we are reporting on does not like our findings. The truth is the truth, and I firmly believe that readers and viewers are ultimately smart enough to recognize it even amid shouts of “fake news.” Having said that, it is particularly important in this environment for journalists to be accurate and fair, and to take extra pains to do so. The reporting on the Martin Luther King bust in the Oval Office is a prime example of the kind of unforced error we cannot afford. There will always be honest mistakes, and this one was corrected quickly. But why was everyone so quick to accept the premise that the bust had been removed? What would it have taken to double check or seek a comment before reporting it? The most effective response to a hostile source is to do our jobs impeccably. Our most powerful weapon is the truth. Geisler: The journalistic response should be a heightened commitment to the First Amendment, to investigative reporting, to keeping bias out of our journalism, even when we are angered by the injustice of the presidential vilification, and we should make certain we support each other in public forums such as news conferences. If the president or a representative refuses to answer one journalist’s question as a way to punish that person, and the question is of importance to citizens, other journalists present should pick up the baton and keep asking the question. This isn’t just to create a theater of solidarity among journalists, it is to put competition aside in pursuit of information the public deserves to know. Some argue that journalists calling out false statements or using the term “lie” hinder their objectivity. What are your thoughts on this? Zweifel: I think it’s a journalist’s duty to call out false statements and when warranted brand a statement of claim a “lie.” I applaud The New York Times for doing this on occasion. Being “objective” doesn’t mean we should ignore basic facts. That’s more a disservice to so-called objectivity than pretending that we don’t know if a statement is a lie when, in fact, we do. Cohn: Our business is about facts. If a statement is demonstrably false, we have a duty to say so. That does not hinder objectivity; that IS objectivity. But characterizing a statement as a “lie” is a different matter. The term “lie” implies intent, and in most cases it is impossible to know the intent of the person making the statement. That is not to say we can never characterize a false statement as a lie. If we can provide evidence that the person knew a statement was false when he or she made it—for example, the person wrote or said something different in the past—then the statement is objectively a lie, and we have a duty to characterize it as such. (Then again, the original statement or writing might be the lie, and the more recent statement might be the truth. See how tricky it is?) The bottom line is that we should report what we know, not what we think. If we know a statement to be false, we must say so. If we know a statement to be willfully false—and that is a high bar—we should call it what is: a lie. But if we don’t know that, we have no business reporting it. Sullivan: I would use “lie” sparingly—only when we have full reason to believe that a falsehood is intentional. And we should be ready to use it, using the same threshold, for people other than Trump. If a news organization isn’t prepared to use the word for a business leader or a foreign head of state, then it shouldn’t be using it for the U.S. president. But when something is clearly an intentional falsehood, use it. We took too long to use the clearly understood word “torture” when the facts called for it. Same thing here. Geisler: The word “lie,” used as a verb, should be handled with care. It says the speaker knew it was false and intended to deceive. If we know the speaker’s knowledge and intent, the word applies as a verb. But how do we know that? At the same time, the word “lie” as a noun, can mean “falsehood”—so, it might be used, as The New York Times did. I’m splitting hairs pretty finely here, but I do see a difference. Still, the word “lie” always carries with it a certain name-calling, and journalists should avoid putting themselves in the position of appearing to be attacking. There are plenty of other words: falsehood, untruth, fabrication, fiction, distortion, whopper, tall tale, for starters. As for calling out false statements, yes, journalists should not hesitate to clearly state that what has been said is untrue—and to do it in chyrons, headlines, tweets, interviews and within the body of stories. We can’t let “alternative facts” overtake provable truth. It’s on us to provide the proof. Woods: I’m not a fan of using the word “lie” without a fairly high level of proof that a person intended to mislead. I think we can do all that public service journalism is designed to do—identifying errors, exaggerations and false or misleading information—without suggesting that a person intended to tell a lie. It may be so; it may strongly appear to be intentional. But if we can’t prove intent, we should save that powerful tool for when we have the factual goods to justify it.